Yesterday, my little brother, Ahmad Ali, turned 7 years old. 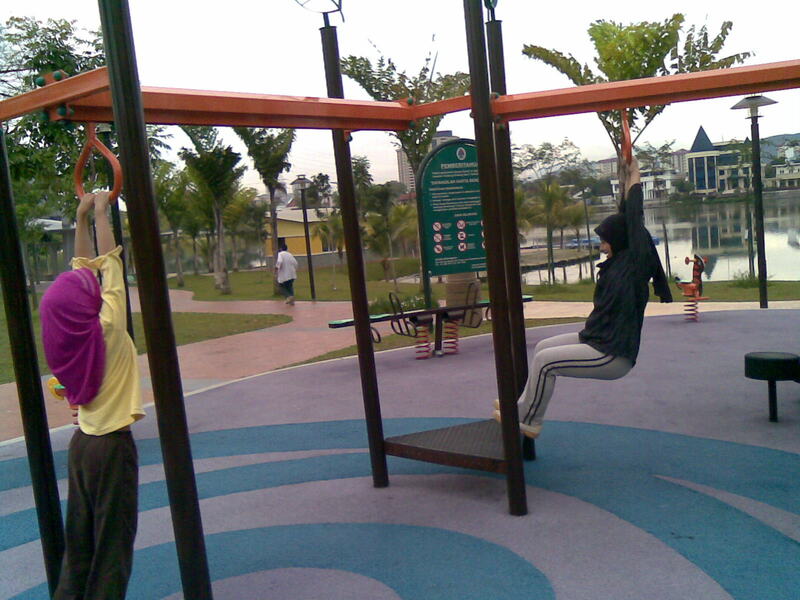 Early in the morning, we went to Taman Tasik Ampang Hilir for a birthday jog and a birthday playtime at the playground. At the playground, I succeeded to swing on the monkey bar from the beginning until the end for the first time! 🙂 After lunch, we cleared up the dining table and arranged his birthday presents on the table together with his cards. I gave him a 3D butterfly card (I made it myself), a Hot Wheels track with 6 cars (which was previously mine – my 5th birthday present from Uncle Rauf), an Assembly Fun Kit – Forklift (from my mother and I), a personally decorated clock and a turmeric plant. Altogether, his presents totaled up to 36. His favourite were the Assembly Fun kit ‘Helicopter’ (from dad) and ‘Forklift’. Some of the other gifts were two credit cards, some books, a blue Hot Wheels Chevrolet, a few sets of glittering 3D stickers, Dunkin Donut cookies, chocolate, a set of paintbrushes, a ladybug shaped palette and a pack of ‘Glow In The Dark’ Crayola crayons set. He also received 4 beautiful cards. After he opened his presents, he started to create his Helicopter but he couldn’t understand the instruction manual (the instruction is really confusing for a child his age). So he left it and generously invite my sisters to join him playing with his Hot Wheels track. They spend an hour and a half playing with the cars. For dinner, we had two Extra Large Meat Mania pizza (bought at Domino’s pizza) at my brother’s request. That night, he decided to invent something else with his assemble kit and came up with a ‘Hictep ler’. He said that it is a flying machine. He told us that yesterday was his best birthday ever because he had a great time with his Hot Wheels track and enjoyed creating his ‘hictep ler’. Jogging is a very good exercise which benefits our bones (by increasing bone density in the lower body), muscles (by increasing muscular strength and stamina in the lower body) and joints (by strengthening tendons and ligaments in the lower body). It can also increase lung capacity, strengthen the heart, improves blood circulation, increase metabolism, burn calories and the best part is; it releases endorphins (read more about it here) and reduces stress. However, because of the extra strain on muscles and joints from the repetitive impact may lead to injuries such as knee pains and shin splints. Long term jogging on hard surfaces can play a role in degenerative joint conditions such as osteoarthritis. That is why it is very important to wear good running shoes that cushion and support your feet. Always remember to warm up and stretch thoroughly before you start. If you have never run before or are very out of shape, don’t overdo it. You could start by walking most of the session and include just a minute of jogging. As you become fitter, you can gradually increase the proportion of your session spent jogging. You will also need to breathe a little harder than normal to get more oxygen into the body but you should still be able to hold a conversation while you jog (a sign that you are not overdoing things). If you find yourself getting too out of breath, slow down or walk until you have recovered. When your breathing has returned to a more comfortable level you can start jogging again. Yesterday morning, my family and I went jogging at Taman Tasik Ampang Hilir. We jogged around 2.7 km and stopped by a playground, exhausted. It’s the first time (after so long) we jogged and plan to do so every Tuesday, Thursday and Saturday. We had some fun at the playground with the chain bridge, flying foxes, monkey bars, stepping stones and (my favourite) the swing. 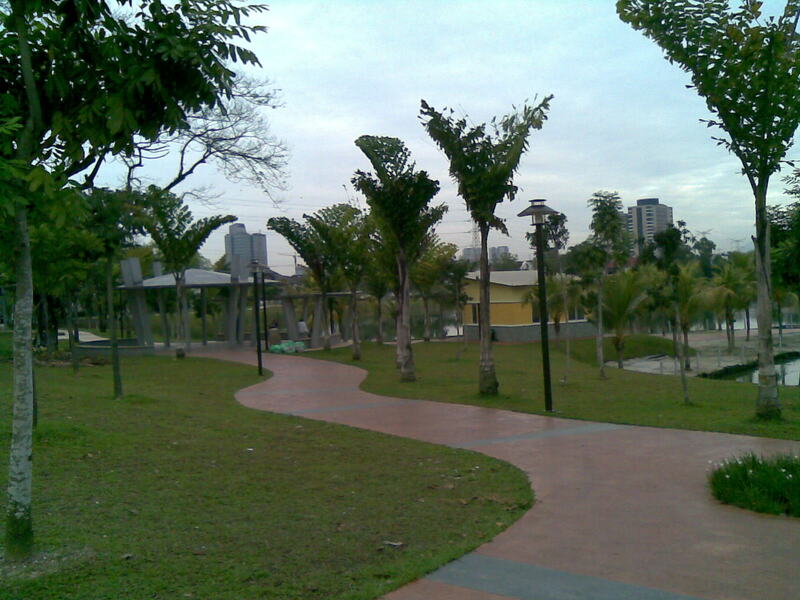 Taman Tasik Ampang Hilir is a beautiful park with a nice small lake in the middle. It has a jogging track, a food stalls, a few playgrounds and some exercising equipments. I once went there before with my family. We had a picnic there with my dad’s friends from Southern Illinois University in Carbondale. The park had just been opened for about a month then and it was cleaner too. Yesterday, we saw that the lake was polluted with all sorts of rubbishes. 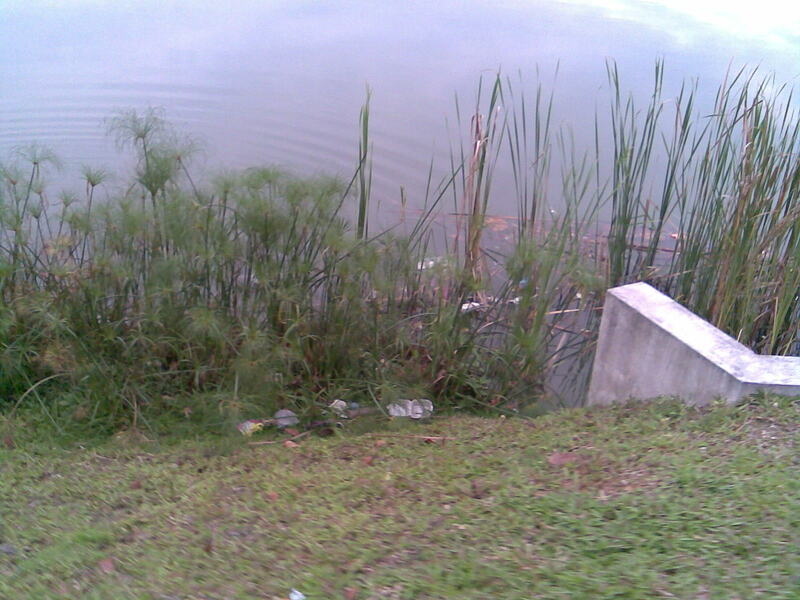 Some irresponsible people must have been too lazy and threw their rubbishes into the lake despite the many rubbish bin that had been provided. How did they managed to even walk back to their car I wonder. 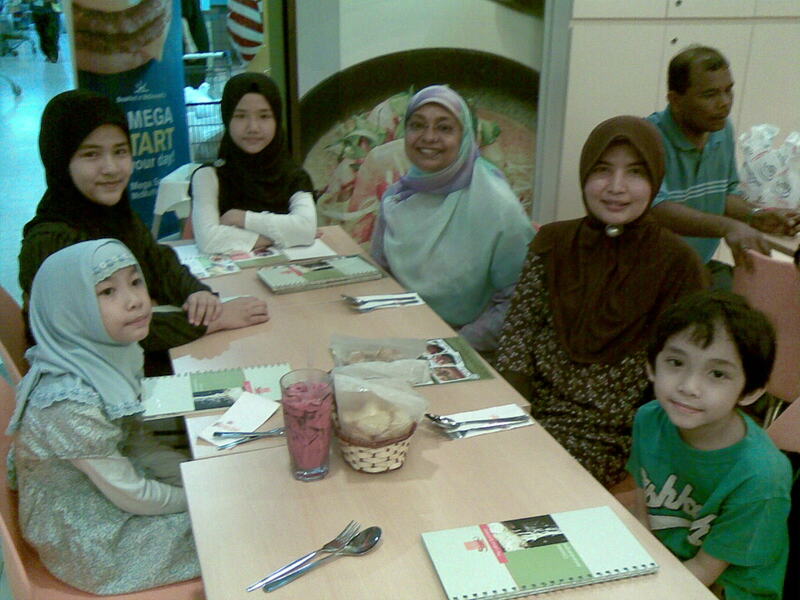 On Friday night (29th of January, 2010) Aunty Selina reached KLIA (Kuala Lumpur International Airport) for a 3 days trip. Aunty Selina, who lives in Maryland, USA, is a very good friend of my parents. She stayed at The Renaissance Hotel Kuala Lumpur at Jalan Ampang. She brought all of us lots of lovely presents. I received a 1000 pieces jigsaw puzzle ‘Home Sweet Home’ (a part of the Medallion Collection, featuring a picture of the countryside in the morning) and a beautiful historical fiction novel, ‘Stepping On The Cracks’ which I finished reading that very night. She also gave us two packets of a very tasty ‘Lindor’ by Lindt chocolates with peanut butter and orange fillings. The dark chocolates are so deliciuos and the chocolate fillings burst with aromatic flavour as they melt in my mouth. I just love them and could not stop eating them. I love Swiss chocolates and Lyndt is my favourite! On Saturday, Aunty Selina spent her day sightseeing around Kuala Lumpur on the KL Hop-On Hop-Off bus. That night, we had our dinner at Ayam Penyet AP Restaurant in Wangsa Walk Mall which served delicious Jawa Timur (East of Java) and Minang food. The special dish was the ayam penyet (smashed chicken) which originated from Surabaya. Unfortunately they were out of avocado. Indonesian styled avocado juice or ‘es alpukat’ is one of my favourite drink. That night, we saw a big and bright blue moon (a blue moon means the second full moon of the same month. This phenomenon only occurs once in a blue moon 🙂 ). The moon was also supposed to be the brightest and biggest of the year. 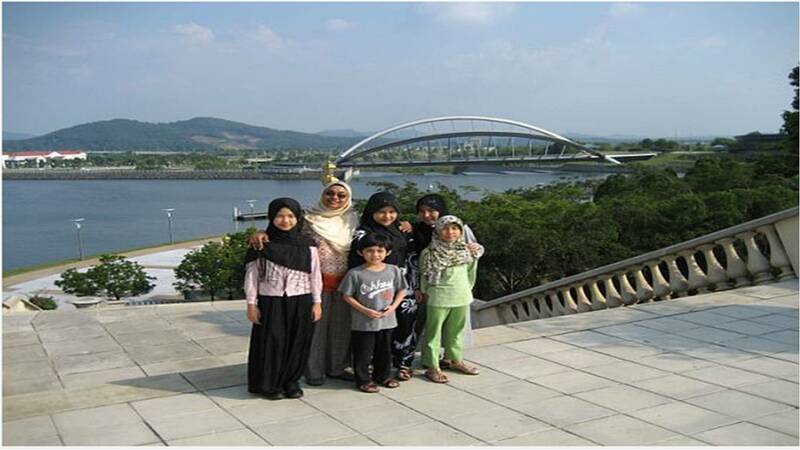 We spent the next few days going around Kuala Lumpur with Aunty Selina. 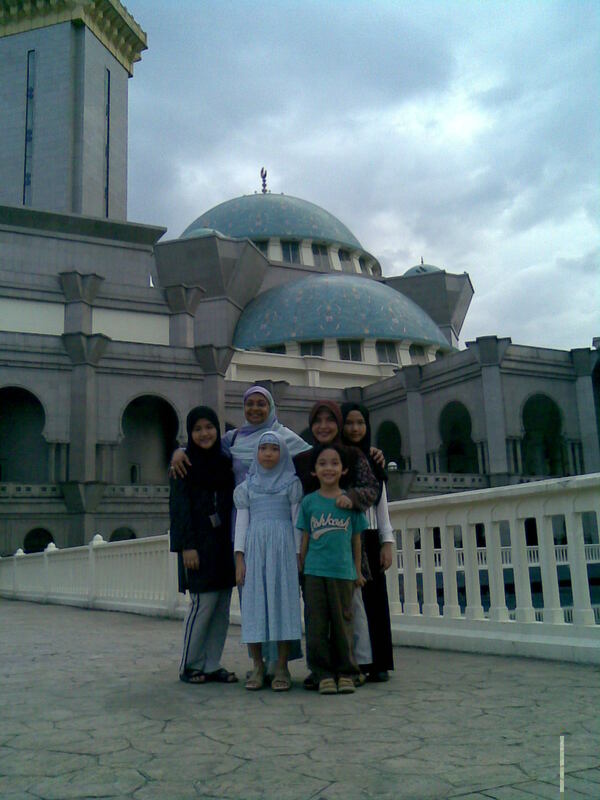 We went to Masjid Wilayah Persekutuan Kuala Lumpur, Masjid Darul Ehsan, Putrajaya and lots more of interesting places. Thank you so much, Aunty Selina for the wonderful presents and the delightful weekend we spent with you 🙂 . 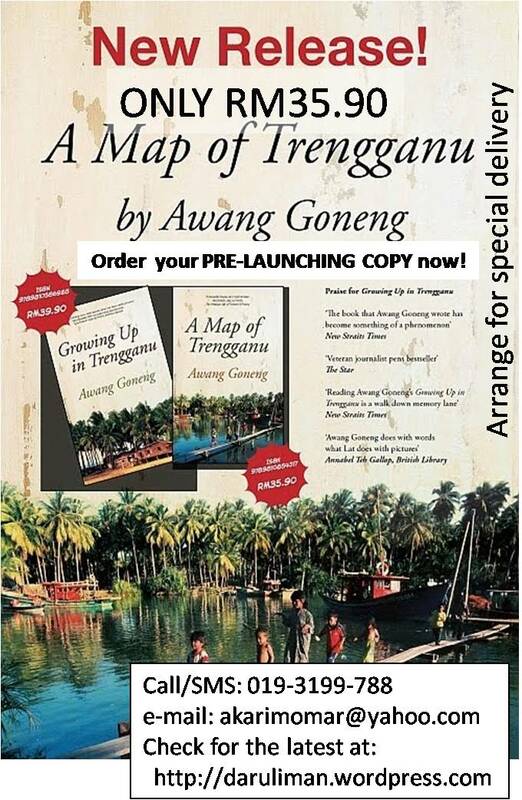 Please do come again to Malaysia. It would be great to see you again. We really miss you. MIDDLETOWN, Conn. – An explosion blew apart a power plant under construction as workers purged natural gas lines Sunday, killing at least five people and injuring a dozen or more in a blast that shook homes for miles, officials said. Middletown Mayor Sebastian Giuliano said at a late-afternoon news conference that five people were known dead and at least 12 injured. Deputy Fire Marshal Al Santostefano told The Associated Press before a news conference Sunday evening that crews were still searching for survivors in the rubble at the Kleen Energy Systems plant in Middletown, about 20 miles south of Hartford. Santostefano earlier said about 50 people were in the area around 11:17 a.m., when the explosion occurred. The mayor said at the news conference it was difficult to tell how many people were at the plant because multiple contractors were working on it with their own employee lists. “They’re trying to figure out who was on the job today, and where are they now?” Giuliano said. The 620-megawatt plant was being built to produce energy primarily using natural gas. Santostefano said workers for the construction company, O&G Industries, were purging the gas lines, a procedure he called a “blow-down,” when the explosion occurred. Lynn Hawley, 54, of Hartland, Conn., told the AP that her son, Brian Hawley, 36, is a pipefitter at the plant. He called her from his cell phone to say he was being rushed to Middlesex Hospital. She said he had a broken leg and was expected to survive. Officials had not released the conditions of the other injured people by late Sunday afternoon, but hospitals reported some seriously injured patients. “I felt the house shake, I thought a tree fell on the house,” said Middletown resident Steve Clark. “I thought it might be some test or something, but it was really loud, a definite explosion,” she said. Kleen Energy Systems LLC began construction on the power plant in February 2008. It had signed a capacity deal with Connecticut Light and Power for the electricity produced by the plant. Construction was scheduled to be completed by mid-2010. The company is run by president and former Middletown City Council member William Corvo. A message left at Corvo’s home was not immediately returned. Calls to Gordon Holk, general manager of Power Plant Management Services, which has a contract to manage the plant, weren’t immediately returned. Plants powered by natural gas are taking on a much larger role in generating electricity for the U.S. Gas emits about half the greenhouse gases of coal-fired plants and new technology has allowed natural gas companies to begin to unlock gas supplies that could total more than 100 years at current usage levels. Natural gas is used to make about a fifth of the nation’s electricity. Gov. M. Jodi Rell was on her way Sunday afternoon to the site after speaking with Middletown Mayor Sebastian Giuliano, and called out a specialized search and rescue team to help firefighters. The state’s Emergency Operations Center in Hartford also was activated, and the Department of Public Health was called to provide tents at the scene for shelter and medical triage. Rell said the emergency teams were expected to work through the night and into Monday. Daniel Horowitz, a spokesman with the U.S. Chemical Safety Board, said the agency is mobilizing an investigation team from Colorado and hopes to have the workers on the scene Monday. Safety board investigators have done extensive work on the issue of gas line purging since an explosion last year at a Slim Jim factory in North Carolina killed four people. They’ve identified other explosions caused by workers who were unsafely venting gas lines inside buildings. The board voted last week to recommend that national and international code writers strengthen their guidelines to require outdoor venting of gas lines or an approved safety plan to do it indoors. In February 2009, an explosion at a We Energies coal-fired power plant near Milwaukee burned six workers. The Occupational Safety and Health Administration is still investigating. In the past few years, an explosion at a Dominion Virginia Power coal-fired plant in Massachusetts killed three workers in November 2007, while one worker and nine others were injured at an American Electric Power plant of the same type in Beverly, Ohio, in January 2007. Contributing to this report were Associated Press writers Stephanie Reitz in Glastonbury, Conn.; Mark Williams in Columbus, Ohio; Mike Baker in Raleigh, N.C.; and Anne D’Innocenzio in New York.